Lehigh had one of the best offenses statistically in all of the FCS last year, excelling offensively in pretty much every facet. Look at the statistics page for FCS last year. 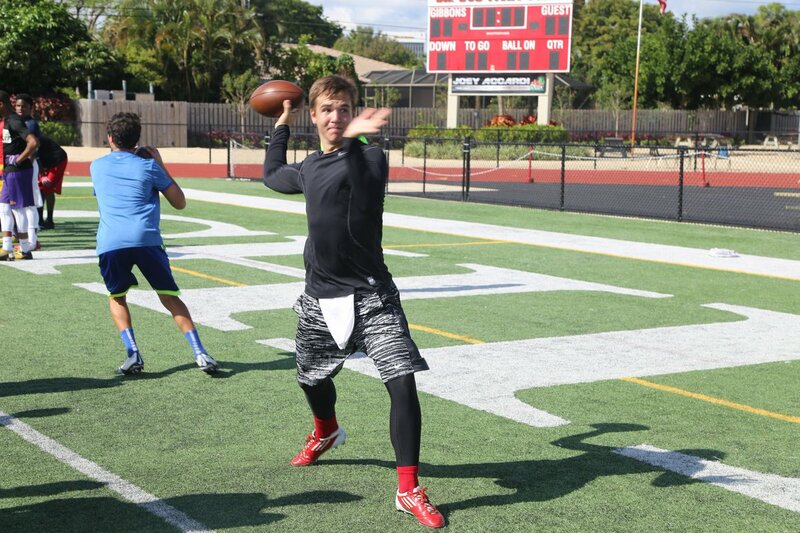 Rising senior QB Brad Mayes, 4th in passing yardage. Rising senior RB Dominick Bragalone, 1st in rushing yardage with 1,388. Both Mayes and Brags return next year, and huge things will be expected of them for certain. But the spring is about finding out who's stepping up to the plate to keep the train rolling. There's little doubt that, barring injury, Mayes and Bragalone will be lining up in that first offensive possession vs. St. Francis (PA) at Murray Goodman this September. 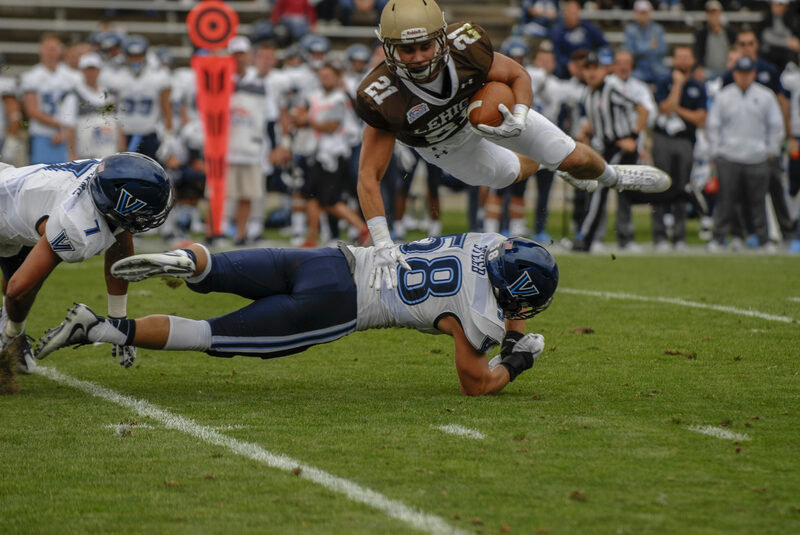 But the 2017 offense is so much more than those two guys - the Mountain Hawks will need to replace the best receiving tandem ever to suit up at Lehigh, and will also need to replace the fiery leadership on the offensive line that, at times, seemed to will this team to their Patriot League Championship last year. This Saturday, we get our first peek. Lehigh's back-to-back Patriot League championships were in large part a function of great play, and continuity, along the offensive line. Although Lehigh's offensive line didn't go through the last two years injury-free, OL Brandon Short, OL Zach Duffy and OL Tim O'Hara - all first-team all-Patriot League linemen - through it all, were key pillars of the brick wall that protected QB Nick Shafnisky and, last season, rising senior QB Brad Mayes. The day that Short, Duffy and O'Hara donned their Lehigh jerseys for the last time was bound to be tough for the Mountain Hawks. In the post-game press conference when Lehigh beat Lafayette 38-31 last November, it was Zach's halftime speech that was a driving force in the Mountain Hawks' Patriot League Championship-clinching win. But some of the injuries along the line that lingered over the last two seasons might end up being a small blessing in disguise, as rising sophomore OL Jackson Evans, sophomore OL Chris Fournier, junior OL Alex Motley, junior OL Nick Rosen and senior OL Liborio Ricottilli have plenty of game experience as they step into the all-League players' shoes. 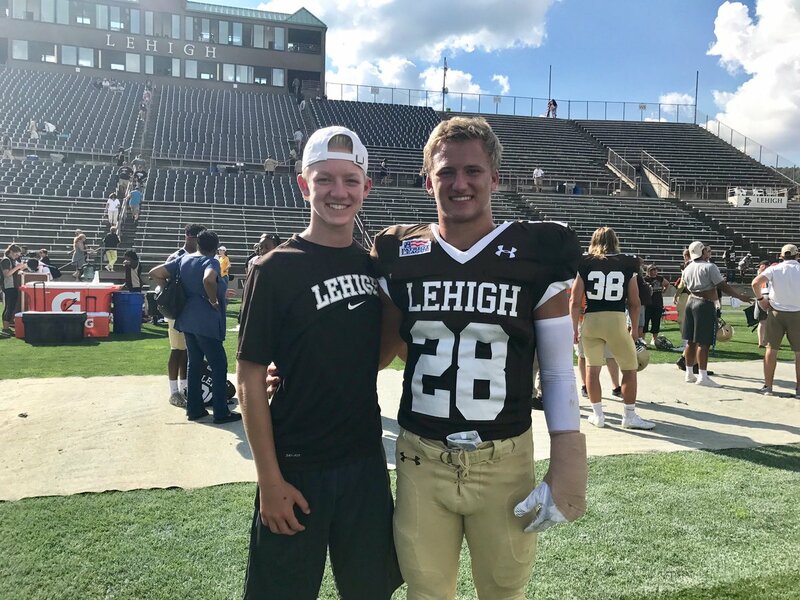 "Obviously, the chemistry is a little bit different," a professional-sounding Motley said on LehighSports.Com's In the Trenches with Lehigh Football. "I think it served to our benefit, the younger guys, so we kind of get each other and what we're going through. Even with a new offensive line coach [Jeremy Bandy, from Harvard] everything is pretty much new, so we're starting with a clean slate. That's good for the team chemistry, but especially for the offensive linemen, because it's like a new bond. We've known each other, but now it's going to be on a different level, because we're playing against each other." Motley, who played mostly on special teams, is clearly ready to make the leap to start on the offensive line after backing up Duffy and O'Hara at both tackle positions. Fournier, Evans and Rosen were pressed into service a lot last year thanks to injuries, while Ricottilli seems like he's finally 100% healthy. So even though the starters that graduated cast long shadows, it feels like the new group is businesslike, experienced, and showed some maturity that will be critical for any offensive success that follows this season. This week, according to LehighSports.Com, it looks like the backup QB situation has clarified itself going into the fall. Junior QB Tyler Monaco appears to be No. 2 on the depth chart, with sophomore QB Addison Shoup not very far behind him. "Monaco has stepped up as the backup guy," Coen said. "He has done some really good things. He can throw the ball and run the offense. He's capable of running but he had the knee issue last year. Addison is a little more mobile and has been solid as well." On Saturday, both Monaco and Shoup will be able to highlight what they can do in front of the Lehigh faithful, and I, for one, will be taking notes. At TE for the spring, senior TE Dan Scassera is the clear No.1 on the depth chart, but it stands to reason that we'll see a lot of junior TE Stephen Puhl and sophomore TE Chris Renna as well, seeing as there are only 3 TEs on the roster. Look for a lot of 3 wideout and 4 wideout sets when the offense takes the field this weekend. Earlier in the spring I talked to senior QB Brad Mayes about the receiving corps, and he talked about how rising senior WR Conner Bianchini and junior WR Dev Bibbens were stepping into the sizeable shoes left by WR Gatlin Casey and WR Troy Pelletier. "Conner has outstanding route running ability and is arguably one of the best 50/50 ball catchers I have ever been around," he said. "Devon is a guy that I also think runs outstanding routes and is very quick and elusive, who really loves the game of football and doesn't back down from any challenge. I'm excited to work with these guys because we all have strong relationships off the field." Head coach Andy Coen also singled out Bibbens for praise this week. "Bibbens has been the most improved player among the receivers," Andy said. "He's strong and has now started to understand coverages. He has really improved and developed into a solid FCS receiver, which is a real positive. There will be a lot of competition in the fall. We're bringing in a good group of wide receivers, guys that we think are very talented. Those guys will get a great opportunity as we move forward." Both Bibbens and Bianchini, who looked good before suffering a season-ending injury in September, look like they are ready to take big steps forward, joining sophomore WR Jorge Portorreal in what looks to yet again be a tremendous receiving group. Certainly this spring receivers coach Tim McGorry is really excited about these three, but he'll also be looking at all the receivers on the depth chart for sure, as the Mountain Hawks are blessed with a depth chart that has tremendous depth and talent with guys like senior WR Sasha Kelsey, senior WR Luke Christiano, sophomore WR Matt Jordan, senior WR Cam Richardson and senior WR Matt Gargano. Here's some inside information for you: I have a pretty good hunch senior WR Dominick Bragalone is going to be the projected starter out of the spring game. But we probably won't see a lot of the defending top rusher in all of FCS this spring. Instead we'll be seeing a lot of the complementary backs that will be coming in when Bragalone needs to take necessary breathers. 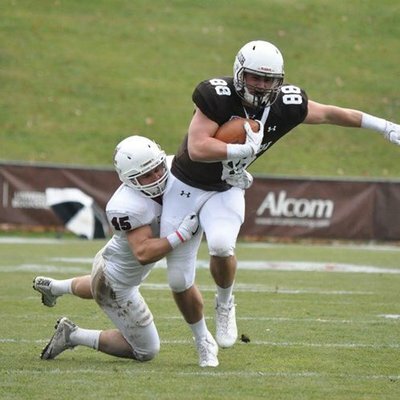 Fortunately for Lehigh fans, Andy has been very bullish on sophomore RB Evan Chadbourn, who certainly will be on display for his ball-catching and speed, and converted linebacker senior RB Jake Buskirk, who has switched from being a starting linebacker as an underclassman to a key player in the running back mix. Buskirk's development has been particularly remarkable because it's his 3rd position change in 4 years: last year on offense, he played TE. Finally who will be back returning punts and kickoffs is a matter of question. It is always interesting to see who makes it to the opening day roster, but early on it looks like sophomore WR Jorge Porterreal will be a part of this squad one way or another. It was Christiano who got hurt in September not Bianchini. I’d expect Luke to be in the first group. Sounded like from the Mcall article the other day it would be Luke Christiano, Jorge Portorreal, and Devon Bibbons. What will the pope have to sports news say now that Ireland’s dirty secrets are out?